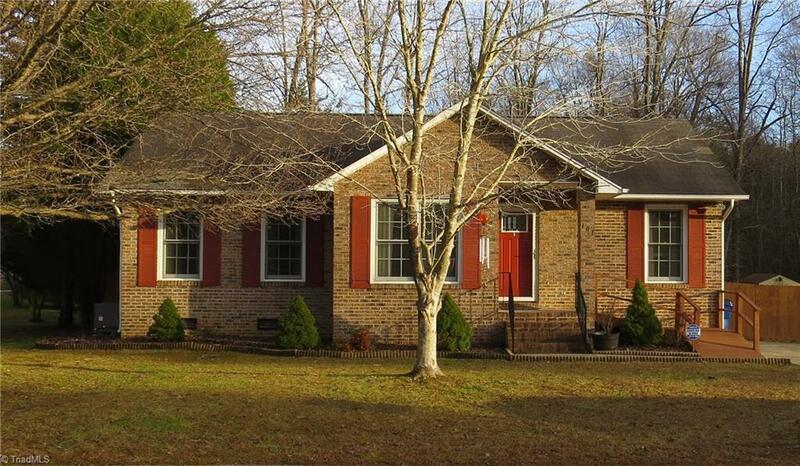 Hurry Home to this Brick Ranch on a Corner Lot! This home has everything you have been looking for: Split Bedroom Floor Plan, Hardwood Laminate Flooring, Vaulted Ceiling, Double Vanity in Master Bedroom with Walk-in Closet, Privacy Fence, Large Deck with partial covering, Wired for generator, Storage Building in Back Yard and Storage Room attached to the house. New HVAC installed in 2018.